Click and open random game among thousands of games to play while you are waiting for new games to be posted. Are you feeling yourself lucky?.. MirchiGames - Mirchi Find the Old Skeleton Escape is another point and click escape game developed by Mirchi Games. In this game, you have to find the old skeleton in skull land. Assume that you have to discover and search old skeleton. You have to solve some interesting puzzles and get some clues to complete this game. Good luck and have fun! 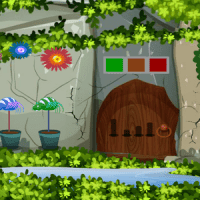 GenieFunGames - GFG Dreamy Hut Escape is another point and click escape game developed by Genie Fun Games. Find the way to escape from this dreamy hut before something bad. You can find useful stuffs and interesting clues symbols to solve and finally escape. Good luck and have fun! AvmGames - Avm Find The Easter Eggs Escape is another point and click escape game developed by Avm Games. In this game, you came to celebrate the Easter holidays in a beautiful village. You have a Easter eggs. Assume that your Easter eggs was hidden by your friend in the beautiful village. 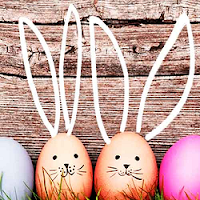 Now you are going to find the easter eggs by using objects, hints and solving puzzles. Good luck and have fun! Games4King - G4K Plants Lover Rescue Escape is another point and click escape game developed by Games 4 King. There were a few houses in a beautiful and magnificent village. The place was beautiful to see. There was an plant lover living there. That plant lover was unexpectedly stuck in a house in a day. It is your duty to save the plant lover from there. It will help you find the hidden clues where the plant lover is there to save it from there. Find all the tricks and save the plant lover from there. Good luck and have fun! Games2Rule - G2R Bunny Beast Forest Escape is another point and click escape game developed by Games 2 Rule. In this escape game, you came to see the Easter holiday in a forest. But unfortunately, you noticed that the forest is full of bunny beast. You need to find the way to escape from there by finding useful objects, hints and solving puzzles. Good luck and have fun! FirstEscapeGames - FEG Escape Games: Expedition 01 is another point and click escape game developed by First Escape Games. All escapers! Are you ready to take an expedition with different missions and adventures? This is the game for you to have a wonderful experience where you can solve puzzles and hunt for hidden clues and search for lost keys and so on. Give work to your brain by playing these escape games which will be challenging and solvable at the same time. Good luck and have fun! Games4King - G4K Tall Girl Rescue Escape is another point and click escape game developed by Games 4 King. There was a mysterious fortress surrounded by a dark giant forest. A tall girl came to see that place. When the tall girl looked around the forest, he was caught in a fortress. It is your duty to save tall girl from there. It will help you find the hidden clues to save that tall girl. You will find all the tips and puzzles and save the tall girl from there. Good luck and have fun! 8bGames - 8b Little School Boy Escape is another point and click escape game developed by 8b Games. Imagine that you went to a little school boy house to drop him to his school. While the boy was getting ready, he got stuck in a room. 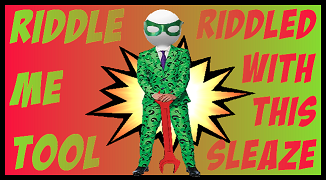 Find some hidden objects to solve some interesting clues to escape the little school boy. Good luck and have fun! EkeyGames - Ekey Winterland Easter Bunny Rescue Escape is another point and click escape game developed by Ekey Games. Assume that you going to rescue the locked bunny in winterland house. Interact everything in this game like clues, puzzles and solve them and escape. Good luck and have fun! 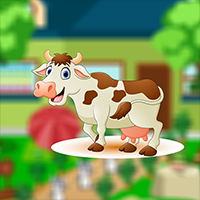 Games4King - G4K Jaunty Baby Rescue Escape is another point and click escape game developed by Games 4 King. There were a few houses in a huge dark area. The place is very intimidating to see. There was an jaunty baby in a house where they were kept. It is your duty to save that jaunty baby from there. It will help you to find the hidden clues to save that jaunty baby from there. Find all the tricks and save that jaunty baby from there. Good luck and have fun! Top10NewGames - Top10 Find The Easter Golden Bell Escape is another point and clicks escape game created by Top 10 New Games. Assume that your Easter golden bell was hidden by your friend. Now you are going to find the Easter golden bell by using objects, hints and solving puzzles. We hope you will find that easter golden bell. Good luck and have fun! Games4Escape - G4E Rabbit Lake Escape is another point and click escape game developed by Games 4 Escape. In this game, you have entered into the rabbit lake and unfortunately all the ways got closed. You have to find the key to coming out of this lake with the help of useful objects to interact with them and solve the puzzles. Good luck and have fun! Games4King - G4K Flag Boy Rescue Escape is another point and click escape game developed by Games 4 King. A flag boy is living in a town. The flag boy is very trivial and playable too. The flag boy went to the game one day and got into a palace. It is your duty to save that flag boy from there. It will be helpful to find the Lata hidden there and save the flag boy from there. It will help you to find clues hidden there to save him. Where the hidden clues and puzzles are hard to find, it's anxious to find somehow. Good luck and have fun! FunEscapeGames - Fun Escape Beautiful House is another point and click escape game developed by Fun Escape Games. We know that you are a great fan of escape games but that doesn’t mean you should not like puzzles. 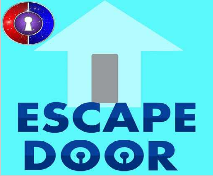 So here we present you beautiful house escape game. Collect clues and hints and solve puzzles to complete your task. Good luck and have fun! WowEscape - Wow Rescue Girl from Easter Egg Escape is another point and click escape game developed by Wow Escape. In this escape game, a girl is trapped in this desert cactus. You need to help the girl from this place by finding useful objects, hints and solving puzzles. Good luck and have fun! Games4King - G4K Find Pale Creature Escape is another point and click escape game developed by Games 4 King. There were a few houses in a huge dark area. The place is very intimidating to see. There was an pale creature in a house where they were kept. It is your duty to save that pale creature from there. It will help you to find the hidden clues to save that pale creature from there. Find all the tricks and save that pale creature from there. Good luck and have fun! Games2Jolly - G2J Escape from Villa Room is another point and click escape game developed by Games 2 Jolly. We know that you are a great fan of escape games but that doesn’t mean you should not like puzzles. So, here we present you this puzzle escape game, a cocktail with an essence of both puzzles and escape tricks. Good luck and have fun! 8bGames - 8b Little Eagle Escape is another point and click escape game developed by 8b Games. Imagine that you found an injured little eagle nearby your house. While you were giving the first aid, the eagle flew and got stuck in a room. 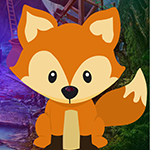 Find some hidden objects to solve some interesting clues to escape the little eagle. Good luck and have fun! Games4King - G4K Majestic Lion Rescue Escape is another point and click escape game developed by Games 4 King. There were a few houses in a beautiful and magnificent village. The location and the housing was very beautiful. There was majestic lion in that place. The majestic lion was unexpectedly stuck in a house in a day. Your loyalty is to save the majestic lion from there. It will help you to find the hidden clues in order to save the majestic lion from there. Find all the tricks and save that majestic lion from there. Good luck and have fun! 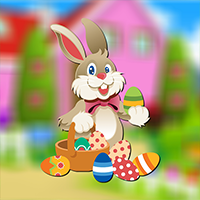 AvmGames - Avm Rescue Easter Bunny Escape is another point and click escape game developed by Avm Games. 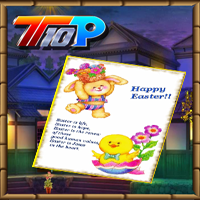 In this game, you came to celebrate the Easter holidays in a old beautiful village which is located outer of the city. But unfortunately, you noticed that someone trapped an Easter bunny in that village. You have to find the way to rescue the Easter bunny from there by finding useful objects, hints and solving puzzles. Click on the objects to interact with them and solve puzzles. Good luck and have fun! 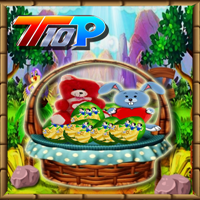 Top10NewGames - Top10 Find the Easter Greeting Card Escape is another point and clicks escape game developed by Top 10 New Games. Assume that your Easter greeting card was hidden by your friend. 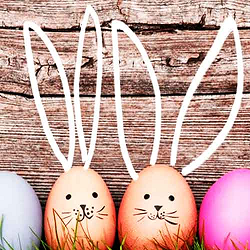 Now you are going to find the Easter greeting card by using objects, hints and solving puzzles. We hope you will find that Easter greeting card. Good luck and have fun! 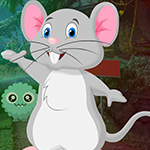 MouseCity - SD Escape Millionaire Mansion is another point and click escape game developed by Selfdefiant for Mouse City. You woke up all alone in the millionaire mansion! Look around and see what you can find to help you escape. Good luck and have fun! Games4King - G4K Find Alley Cat Escape is another point and click escape game developed by Games 4 King. There were a few houses in a beautiful and magnificent village. The location and the housing was very beautiful. There was alley cat in that place. The alley cat was unexpectedly stuck in a house in a day. Your loyalty is to save the alley cat from there. 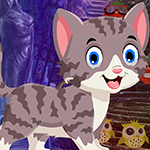 It will help you to find the hidden clues in order to save the alley cat from there. Find all the tricks and save that alley cat from there. Good luck and have fun! 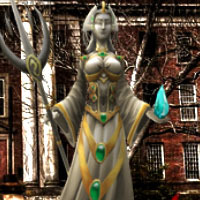 GelBold - GB Old Institute Escape is another point and click escape game developed by Gel Bold. You are now trapped in old institute. Can you figure out how to unlock the door and come out of this old institute? Good luck and have fun! 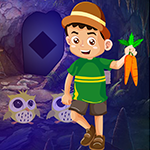 GenieFunGames - GFG Shiny Easter Wooden Door Escape is another point and click escape game developed by Genie Fun Games. Easter is going to begin before that find the way to get the key and escape. You can find useful stuffs and interesting clues and symbols to solve and finally escape. Good luck and have fun! FirstEscapeGames - FEG Escape Games: Unknown 2 Part 6 is another point and click escape game developed by First Escape Games. Find solutions to unknown problems and find missing keys with which you will be able to complete levels in this part. Be prudent to notice the clues and hints and collect the things that you think can be of handy in your problems. Solve the puzzles smartly and successfully complete this escape game. Good luck and have fun! 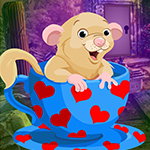 Games4Escape - G4E Little Bunny Rescue Escape is another point and click escape game developed by Games 4 Escape. In this game, a little bunny entered the cage and unfortunately cage got closed. You have to find a key to bring the bunny out from the cage with the help of useful objects to interact with them and solve the puzzles. Good luck and have fun! 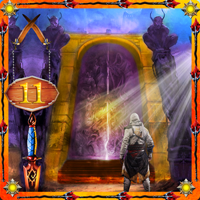 Games4King - G4K Popping Lion Rescue Escape is another point and click escape game developed by Games 4 King. There was a fort on a huge dark area. There was a popping lion living there. The popping lion went inside the fort to take meat. The popping lion went into the castle and snatched all the meat. The popping lion was caught in a room where the meat were snatched out. You have to help save the popping lion from there. It will help you find the hidden clues there. Find all the tricks and puzzles and get that popping lion out there. Good luck and have fun! 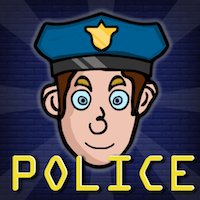 Games2Jolly - G2J Rescue the Police Escape is another point and click escape game developed by Games 2 Jolly. We know that you are a great fan of escape games but that doesn’t mean you should not like puzzles. So, here we present you this puzzle escape game, a cocktail with an essence of both puzzles and escape tricks. Good luck and have fun! GenieFunGames - GFG One Pleasant Evening Escape is another point and click escape game developed by Genie Fun Games. You have go to meet some important at nearby area but you forget the key. The key must be inside of the room find the key. You can find useful stuffs and interesting clues symbols to solve and finally escape. Good luck and have fun! 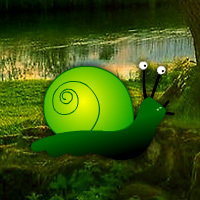 Games2Rule - G2R Green Snail Forest Escape is another point and click escape game developed by Games 2 Rule. In this escape game, you came to see the beauty of the green snail forest. But unfortunately, you missed the way back from that place. You need to find the way to escape from there by finding useful objects, hints and solving puzzles. Good luck and have fun! 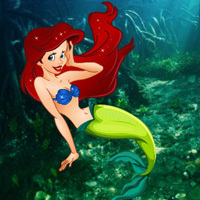 WowEscape - Wow Underwater World Mermaid Rescue Escape is another point and click escape game developed by Wow Escape. In this escape game, you came under the deep sea to see the beauty of underwater. But unfortunately, you noticed that someone trapped a mermaid in a cage. You need to find the way to rescue the mermaid from there by finding useful objects, hints and solving puzzles. Good luck and have fun! 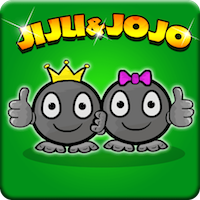 Games2Jolly - G2J Jiju Jojo Rescue Escape is another point and click escape game developed by Games 2 Jolly. We know that you are a great fan of escape games but that doesn’t mean you should not like puzzles. So, here we present you this puzzle escape game, a cocktail with an essence of both puzzles and escape tricks. Good luck and have fun! 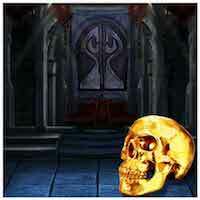 MirchiGames - Mirchi The Dark Night Skull Land Escape is another point and click escape game developed by Mirchi Games. In this game, you have to find the golden skull and map. Assume that you are in dark fantasy skull land. You have to solve some interesting puzzles and get some clues to complete this game. Click on the objects to interact and finally get that golden camel. Good luck and have fun! 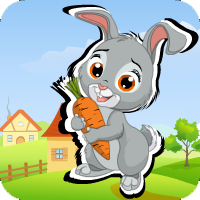 AvmGames - Avm Easter Rabbit Rescue Escape is another point and click escape game developed by Avm Games. In this Easter, someone trapped Easter rabbit and locked inside the house. You have to help the rabbit to escape from there by finding useful objects, hints and by solving the puzzles. Help the Easter rabbit to escape from there. Click on the objects to interact with them and solve simple puzzles. Good luck and have fun! 8bGames - 8b Treasure Crate Escape is another point and click escape game developed by 8b Games. Imagine that someone has given hint about the treasure crate, so you plan to steal the treasure before anyone stolen it. Find some hidden objects to solve some interesting clues to escape the treasure crate. Good luck and have fun! FirstEscapeGames - FEG Escape Games: Unknown 2 Part 5 is another point and click escape game developed by First Escape Games. Find solutions to unknown problems and find missing keys with which you will be able to complete levels in this part. Be prudent to notice the clues and hints and collect the things that you think can be of handy in your problems. Solve the puzzles smartly and successfully complete this escape game. Good luck and have fun! GenieFunGames - GFG Old Wrecked House Escape is another point and click escape game developed by Genie Fun Games. Imagine that you have been trapped inside of this wrecked old house. Find the key and escape before the house came to destroy. You can find useful stuffs and interesting clues symbols to solve and finally escape. Good luck and have fun! WowEscape - Wow Fantasy Emerald Treasure Escape is another point and click escape game developed by Wow Escape. In this escape game, you need to find the fantasy emerald treasure. 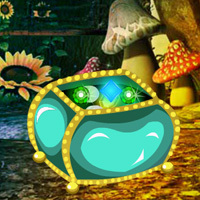 You can find the fantasy emerald treasure by finding useful objects, hints and solving puzzles. Good luck and have fun! 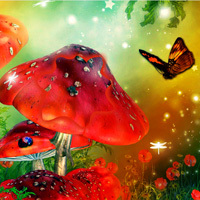 Games2Rule - G2R Butterfly Fantasy Forest Escape is another point and click escape game developed by Games 2 Rule. 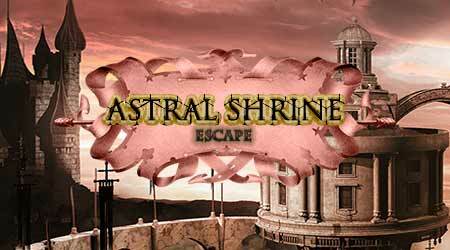 In this escape game, you are trapped inside a fantasy butterfly forest. You have to escape from there by finding useful objects, hints and solving puzzles. Good luck and have fun! 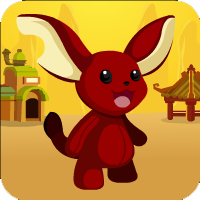 Games4Escape - G4E Red Bunny Rescue Escape is another point and click escape game developed by Games 4 Escape. In this game, a red bunny entered the cage and unfortunately cage got closed. You have to find a key to bring the bunny out of the cage with the help of useful objects to interact with them and solve the puzzles. Good luck and have fun! SD Asylum 2019 is a new point & click escape game developed by Selfdefiant for Melting-Mindz.com. While inside the abandoned asylum searching for your lost girlfriend, you fell through the floor. Now, you must find her and escape the darkness that surrounds the asylum! Good luck and have fun! SD Locked In Escape Kitchen is another point & click escape game developed by Selfdefiant for Mousecity.com. You are locked inside of a kitchen! Look around and see what you can find to help you escape! Good luck and have fun! 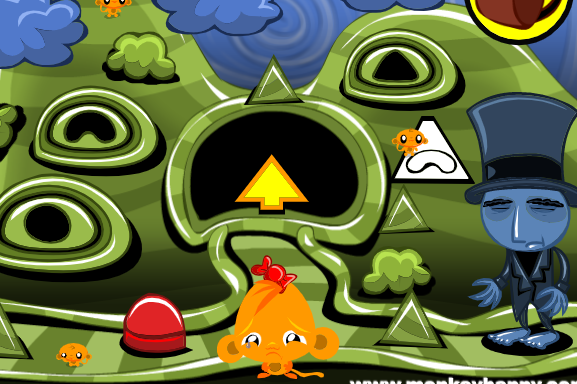 Sniffmouse PictureIt 249 is another picture puzzle game developed by Demolacion for SniffMouse. New weekend is here and it's time to sit back and relax. Try to solve 10 picture puzzles with no rush. The game is autosaving, so you can continue to play whenever you want. Have fun! P.S. Thanks to Thanks to Andrea, Arrie, Austen, Jim, Joe and Sharon for sent pictures! Good luck and have fun! 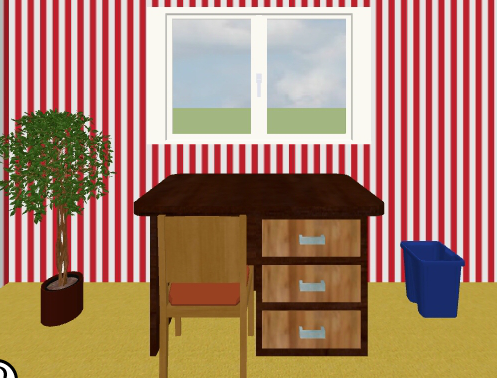 Escape Challenge 81: Room with a Liquid Paste is another Japanese point & click room escape game developed by TomoLaSiDo. In this classical game, you are trapped in a room, and your aim is to escape from there by finding all exit key parts, all control nippers and by solving all puzzles in this room. Good luck and have fun!